€100.000,-. Nobody can give me that. A handful of personal stuff in not going to name online. And it’s mostly up to me. Pity. World peace. I’m easy to please. Hurray, I’m getting older, and I mostly have what I need. This is why I need to lock the bathroom door. A jump, and then a furry black paw presses in through the crack. 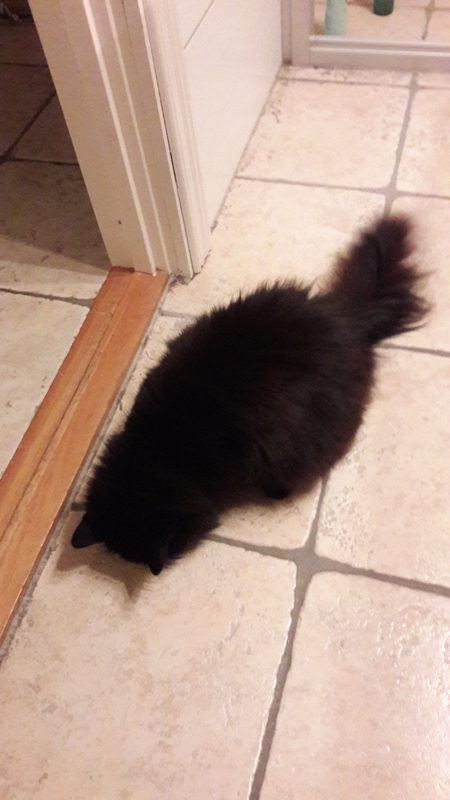 Tonight she just wanted to hunt silverfish. It’s very much like having a precocious toddler around the house. Except she doesn’t need help to go potty, dress herself or go to bed.